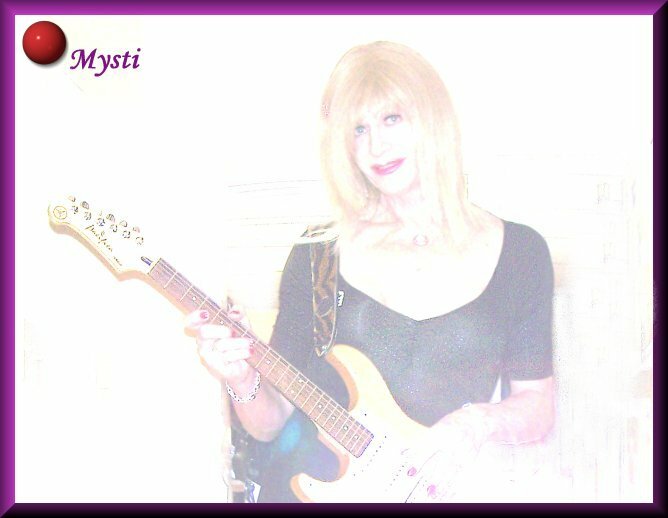 My name is Mysti Rae Meadows and I welcome you to my music website. page is about my music. I sing and I write my own songs. I play the drums, guitar and bass. Here I will introduce to you, that side of me that just loves to create original songs. I will display a biography, some pictures of myself and some of my musician friends. I will show you my home recording studio and I will include some sound clips of some of my original songs. I will post some of my music videos of my original songs. I have many hobbies and music is just one of them. It is here, on my website that I want to share with you, my love for creating music. I POLITELY ASK ALL NEW VISITORS TO MY SITE TO PLEASE SIGN THE ABOVE GUESTBOOK. AS A MUSICIAN, I WOULD LIKE TO KNOW WHAT YOU THINK OF MY MUSIC.